it is interesting,and educative but no instruction on how to obtain a certificate. it really enhanced my knowledge. 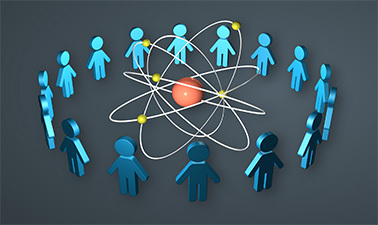 A nice overview of Knowledge Management in Nuclear Energy Organizations and various issues that exist in the industry as well as assessments in the industry, R&D and Universities. Course was well laid out and scripts were well transcribed. The player allows for increased playback speeds if you find the cadence slow. The course content was detailed enough to inform and educate anyone in nuclear industry. It wasn't scientific and ambiguous. It covered many areas that have to do with ones job. Many thanks to the Professors, Instructors and edX teams, they have really broaden my knowledge and gave me reason to search for more. Thanks to you all. One of the best courses for Knowledge Management for Nuclear Energy Organizations. It took me only a couple of hours to audit it. Highly recommended for those who really want to advance their merit for important hybrid model organizations with excellence in materials security and for knowledge-driven organizations. Many thanks to EDX, to the Professor and to the National Research Nuclear University “MEPhI” , one of the most recognized technical universities in Russia.